CannonDesign had a stellar showing at this year’s Healthcare Design Expo and Conference in Orlando, Florida. Our health designers and thought leaders gave five presentations on a variety of topics, including advancements in evidence-based design research, facilities management, and programming, planning and design, while taking home three awards for our recent work in academic medicine, pediatrics and cancer care. Read on for more highlights. Our session on Nantucket Cottage Hospital was so compelling that Healthcare Design’s editor-in-chief covered it in a post-conference article. Steve Kopp of FKP | CannonDesign co-presented with Texas Children’s Hospital during a session that highlighted the award-winning Texas Children’s Hospital the Woodlands. And Diane Tate-Whatley handed out plush microbes and superbugs to promote audience participation during Beyond Ebola: Designing a Premier Special Disease Care Unit. Proof that while we take healthcare design seriously, we also know how to have a little fun, too! Our design teams also swept this year’s showcase awards, and were recognized at the conference’s official ceremony. Receiving both of this year’s highest honors were UCSD Health’s Jacobs Medical Center, a collaboration between CannonDesign and the Yazdani Studio of CannonDesign, and the Buerger Center for Advanced Pediatric Care at Philadelphia Children’s Hospital, designed by Pelli Clarke Pelli Architects and FKP | CannonDesign. 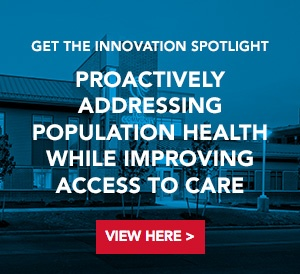 Our work at University of Wisconsin Cancer Center at ProHealth Care also earned an honorable mention, lauded by jurors for reducing monotony and supporting patients throughout their treatment journey. This year’s gallery showcase board, dedicated to the recently opened Centre hospitalier de l’Universite de Montreal (CHUM), was a hit – with many stopping to take photos and learn more about the largest healthcare construction project recently completed in North America. The CHUM also earned the November cover of Healthcare Design Magazine, which is the issue circulated to all attendees at the conference. We even had a recipient of the Herman Miller Healthcare Scholarship in attendance. Representing our firm’s emerging healthcare talent, Siobhan Lee (pictured here with our gallery board) earned only one of eight scholarships awarded to emerging professionals in healthcare design seeking licensure. Our teams were also inspired by this year’s keynotes, which included an energizing session by Dr. Nicholas J. Webb and a moving presentation by this year’s Changemaker Award winner, Dr. Mardelle McCuskey Shepley. And although CannonDesign did not win the limbo contest at the Havana Nights networking event, we sure did have a fabulous time networking with other industry experts and spending three days demonstrating our passionate approach to the field of healthcare design. We look forward to seeing everyone next year in Phoenix!